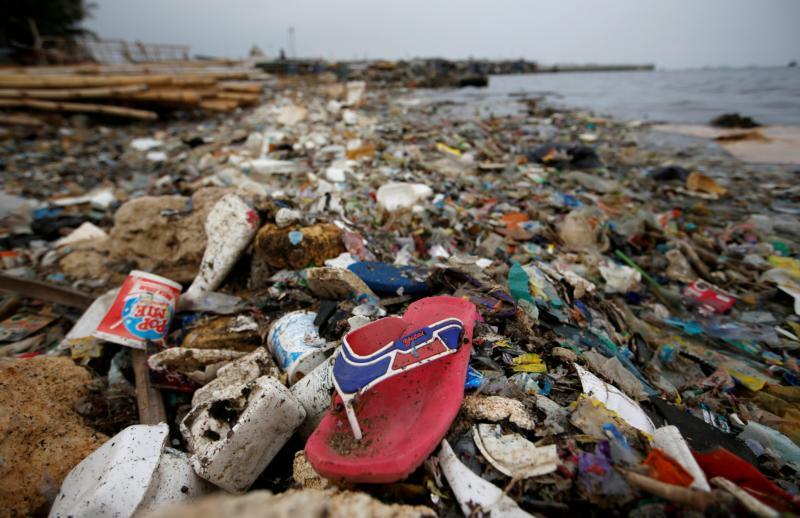 JAKARTA, Indonesia (CNS) — Months after Indonesia’s military was summoned to unclog Jakarta Bay, Archbishop Ignatius Suharyo has joined a chorus of disapproval of the nation’s growing plastic waste problem by calling parishioners to action. Ucanews.com reported that, through a video messaged shown across all parishes nationwide Jan. 5-6, the prelate appealed to all Catholics to reduce their use of plastic and plastic bags due to their harmful impact on the environment. The news comes as other countries in Asia are starting to waken to the threat posed by mountains of plastic left at refuse dumps or dumped at sea. Thailand has also embarked on a conservation campaign with retailers now charging for the use of plastic bags on certain days of the months. China, Thailand and Indonesia are considered the continent’s top three offenders in terms of poor waste management. About 8 million tons of plastic are dumped into the world’s oceans every year, the U.N. Environment Programme said in December. Indonesia deals with about 64 million tons of plastic a year, 3.2 million tons of which end up in the ocean, environmental groups say. About 11 percent of the total is produced in Jakarta, making the city the capital of Indonesia’s waste woes. Those figures put the country second only to China in global terms. China contributed 8.8 million tons of plastic waste in 2018. “We are very concerned because our country is becoming the world’s second-largest producer of plastic waste,” Archbishop Suharyo said. Archbishop Suharyo cited the case of a beached whale that died on Nov. 19 in South East Sulawesi province. A postmortem found its stomach was stuffed full of nearly six kilograms of plastic. Thailand can boast similar tragedies, ucanews.com reported. Some 80 pieces of plastic garbage weighing more than 17 pounds were pulled from the stomach of a pilot whale last June after authorities spent five days trying to save its life. Before it died, the animal spat out five plastic bags in a last-gasp effort to avoid suffocating, Reuters reported. Plastics are broken down into small particles that can make their way into drinking water, seafood and salt, Archbishop Suharyo said, thus posing a threat to both nature and local populations. Archbishop Suharyo urged Catholics to embrace the pope’s invitation to care for the environment and asked producers to gradually stop using Styrofoam in their food packaging. Jakarta produces at least 2.5 million tons of waste each year, 357,000 tons of which is plastic waste, according to Rahmawati, head of the Jakarta’s waste management division. That same year, the central government launched its “Indonesia Free Waste 2020” campaign. It began with a trial policy of instructing retailers to charge customers 200 rupiahs (less than 1 American cent) for each plastic bag used. Some local governments in Indonesia have followed suit with more environmentally friendly messages. Last April, for example, the mayor of Surabaya in East Java said bus passengers could enjoy a free ride on the city’s public transportation system for every 18 plastic bottles or bags they collected.